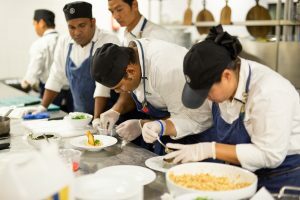 Our executive Chef Ken Gundu has decided to let our chefs shine by organizing a Mystery Box Cooking Challenge! 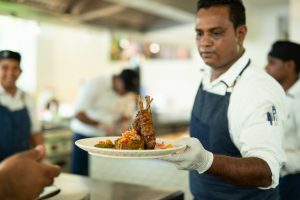 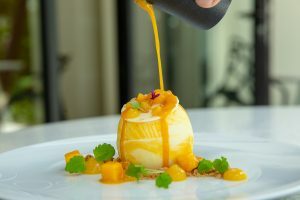 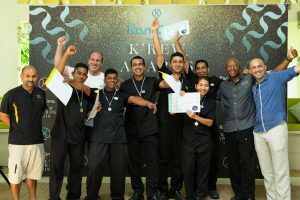 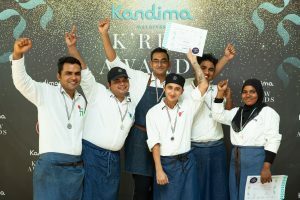 Four culinary teams from Kandima Maldives and one from Niyama Maldives competed against each other while cooking dishes from the ingredients provided from the Mystery Boxes last Sunday. 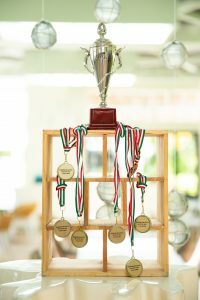 Both staff and guests could join the judging panel and name the winner after the cooking part was over.